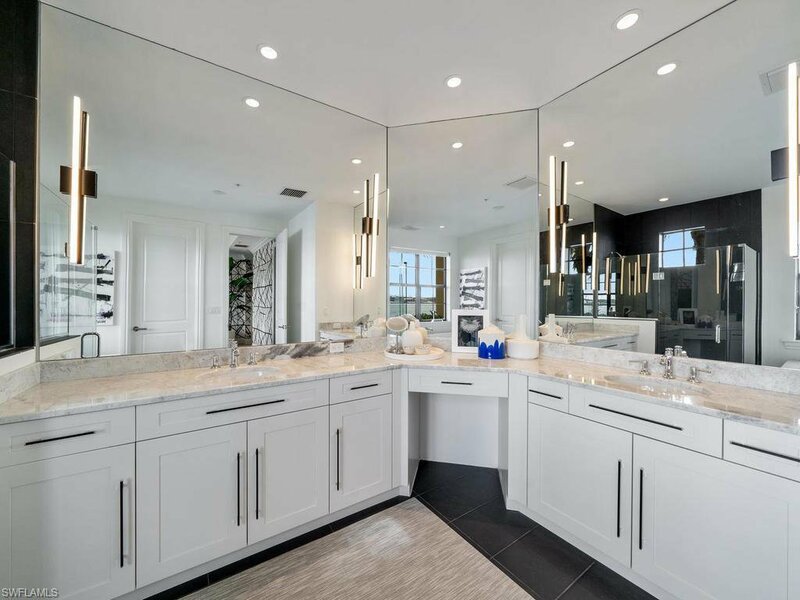 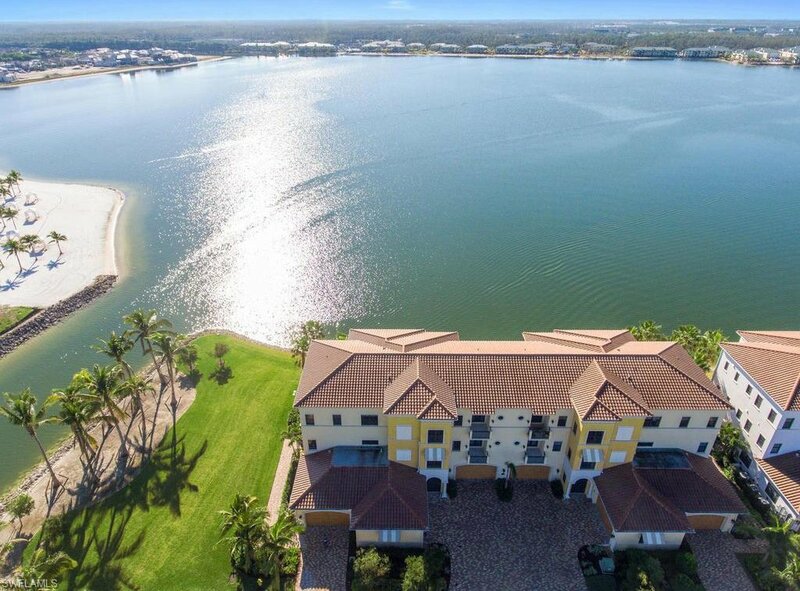 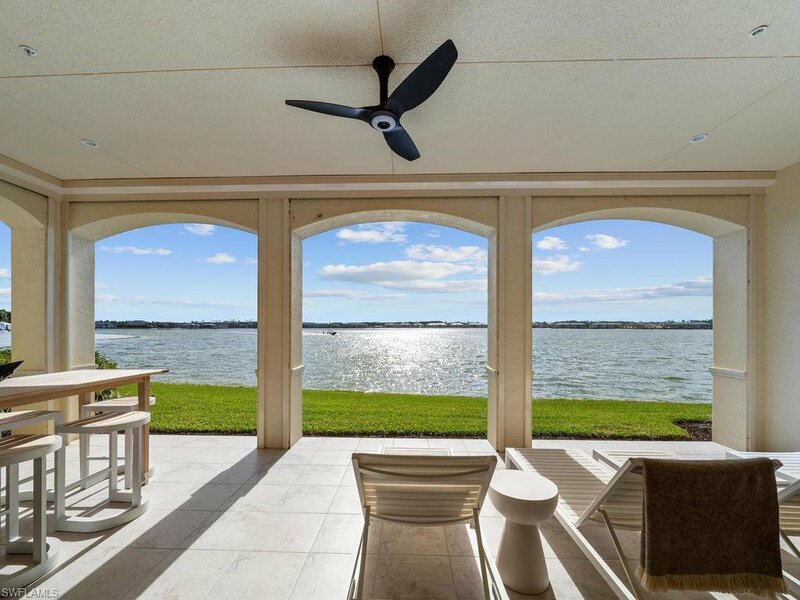 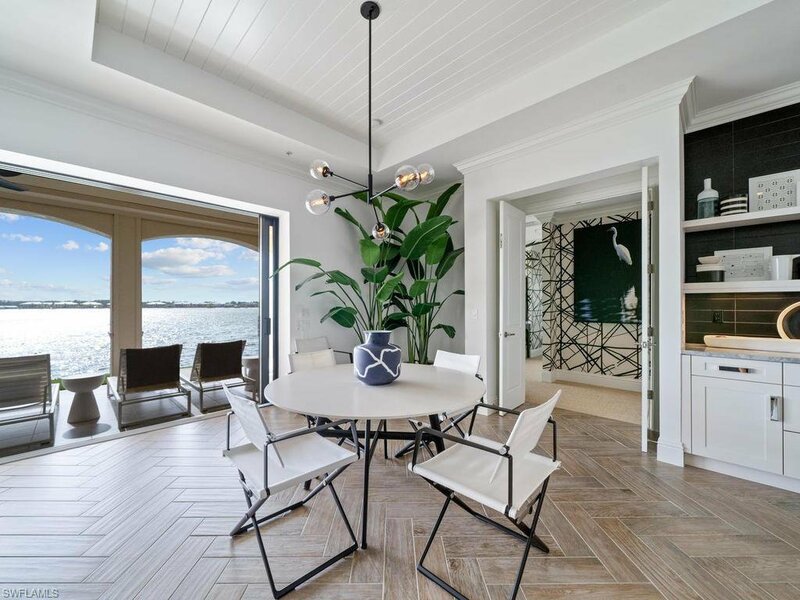 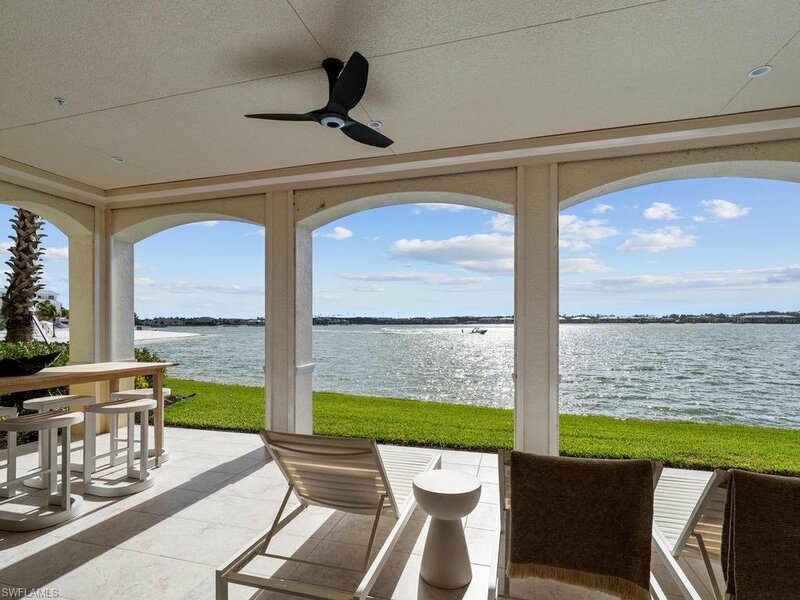 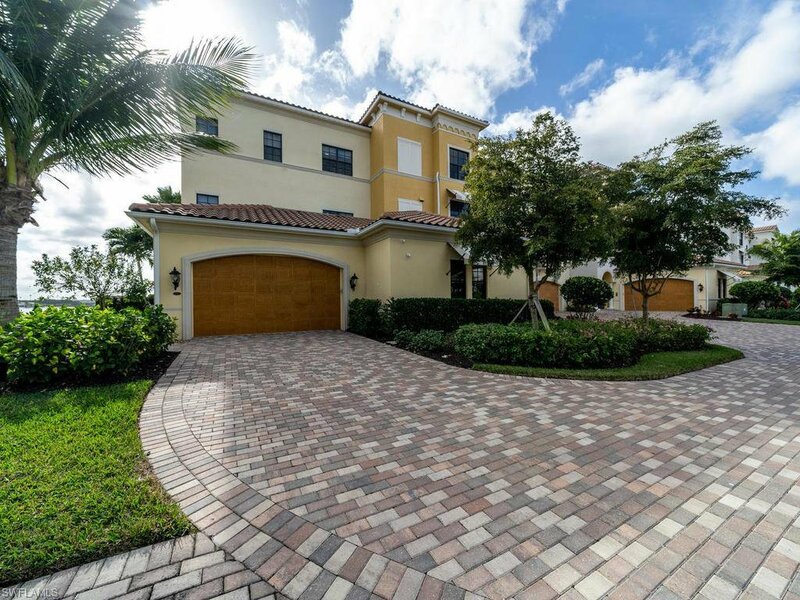 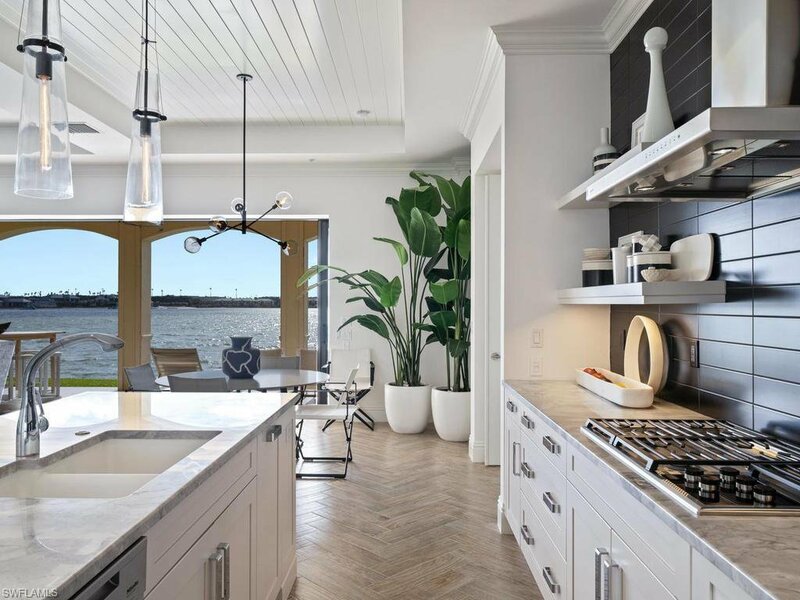 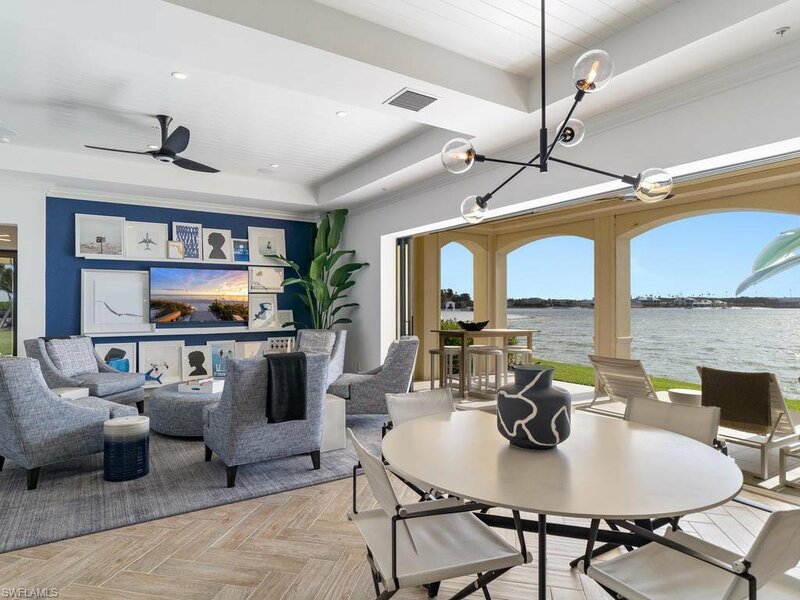 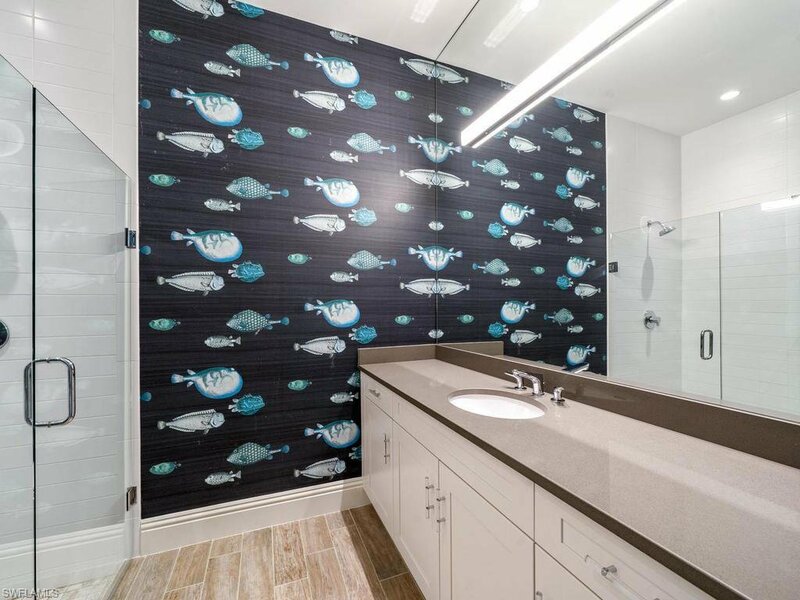 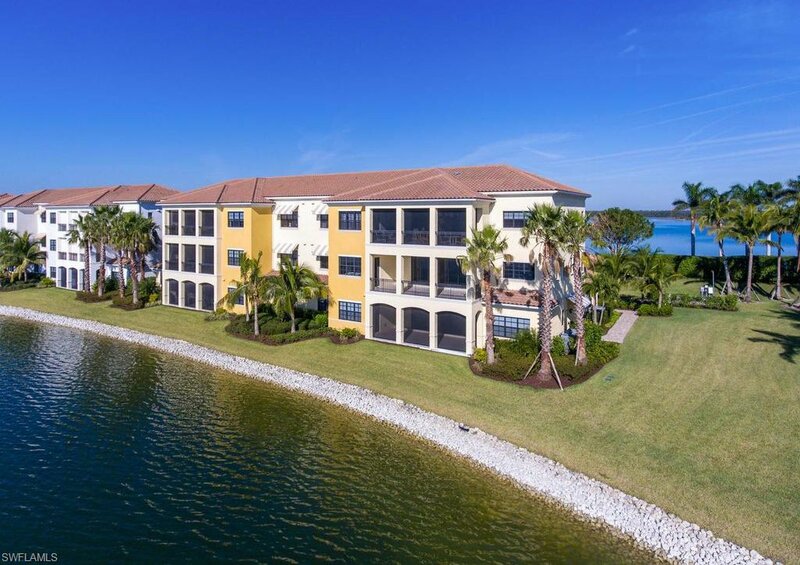 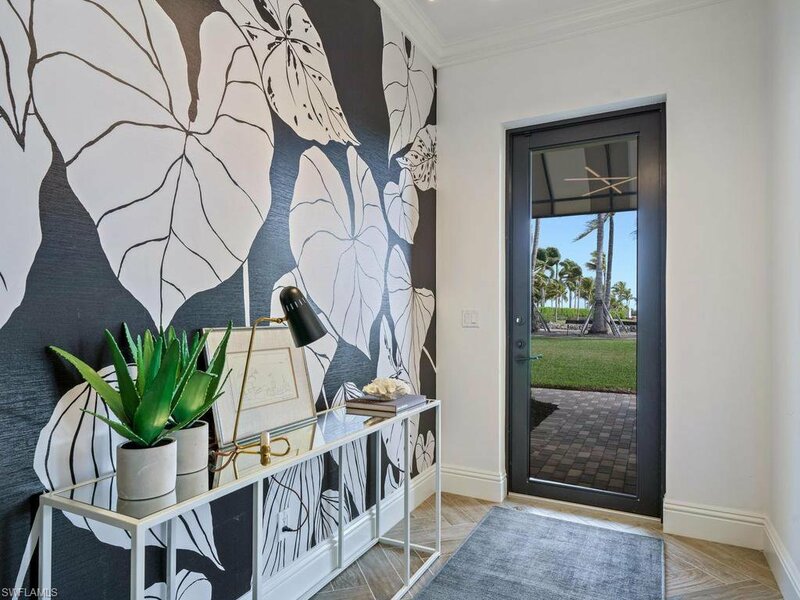 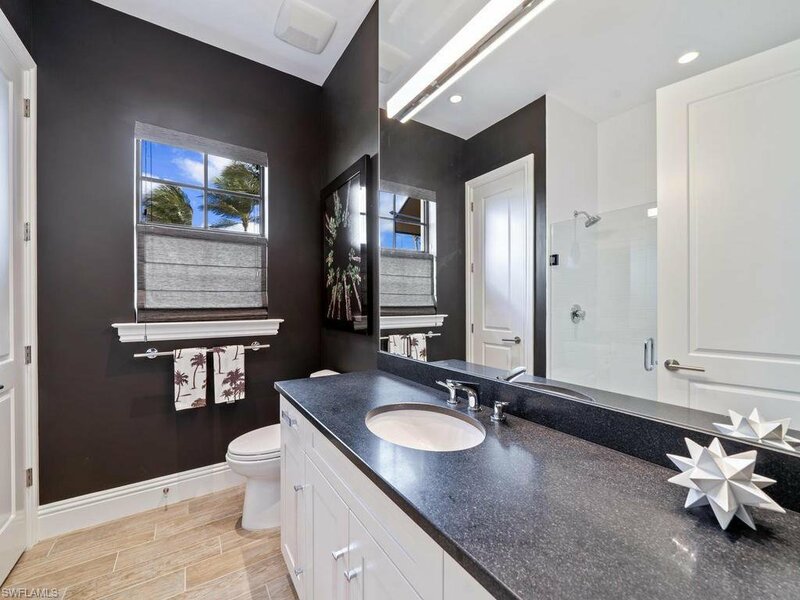 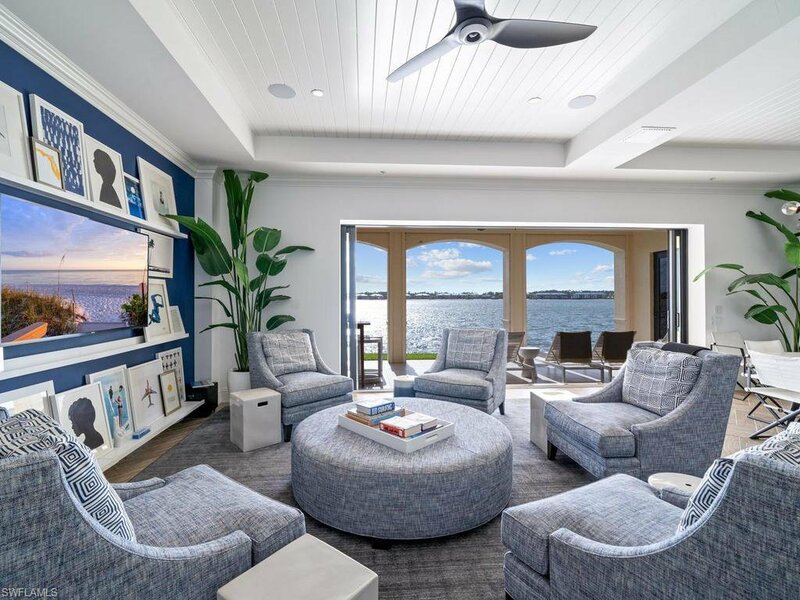 Set on the shore of the picturesque Miromar Lakes, this stunning designer home is perfectly situated in the quintessential location offering views of the glistening water and complete privacy. 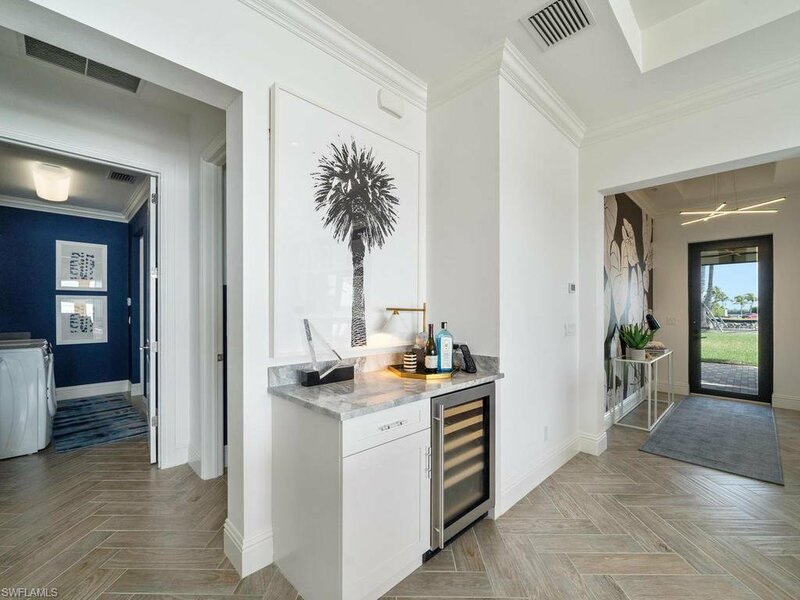 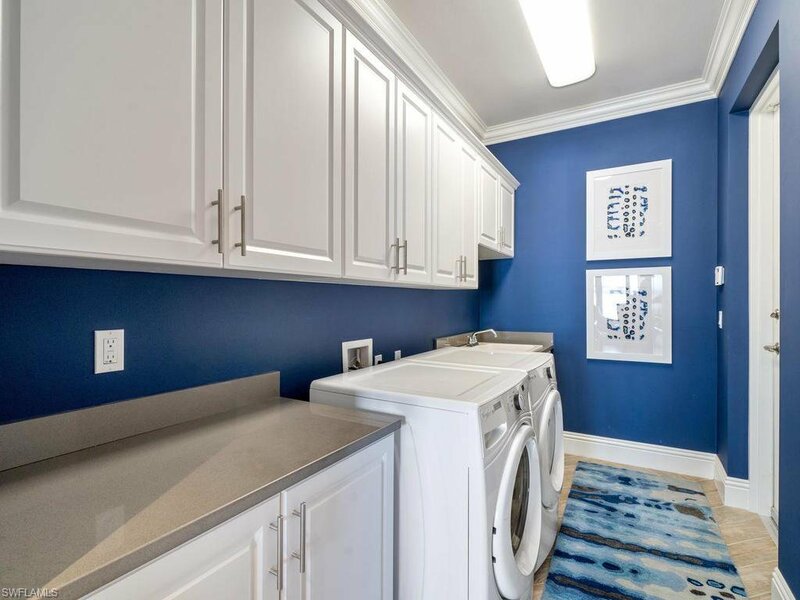 Stylishly crafted by a New York designer, the elegant interior features a seamless blend of texture and color coupled with unique architectural accents and modern conveniences. 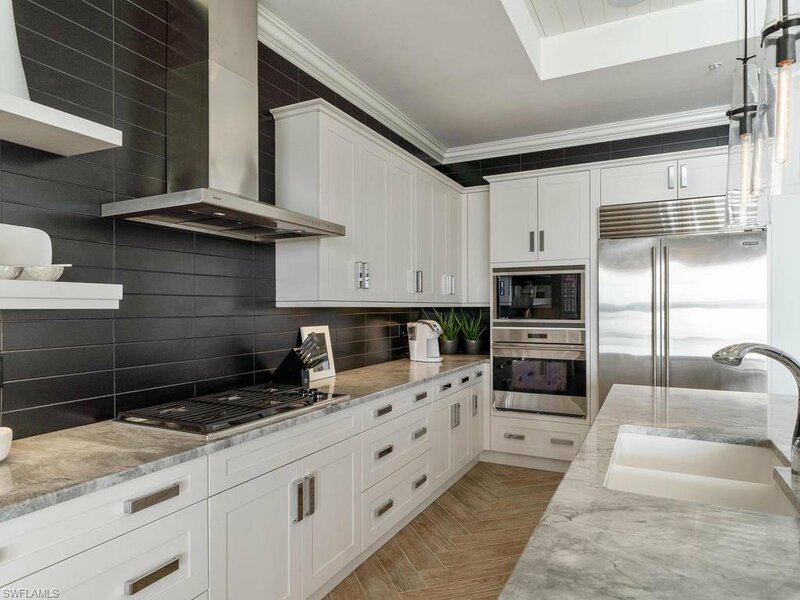 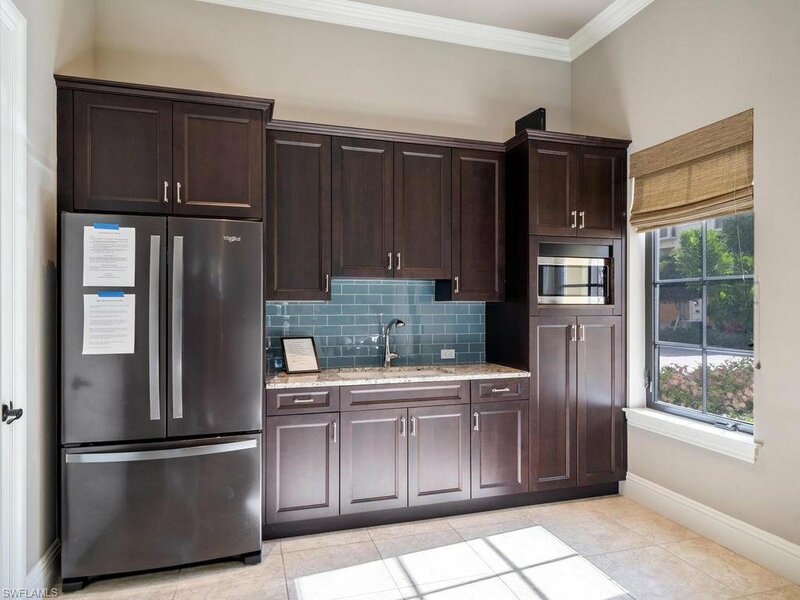 The bright gourmet kitchen is a home chef’s delight, complete with a suite of quality appliances, ample storage and a breakfast bar. 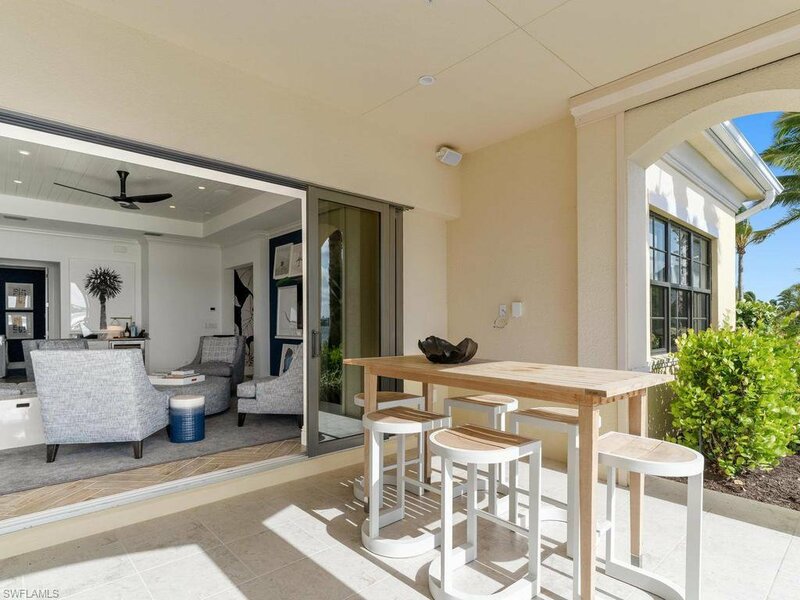 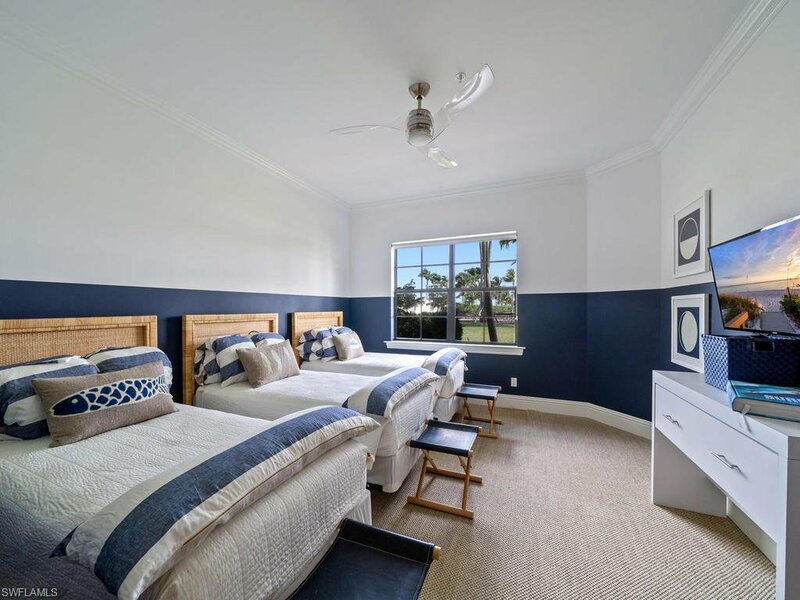 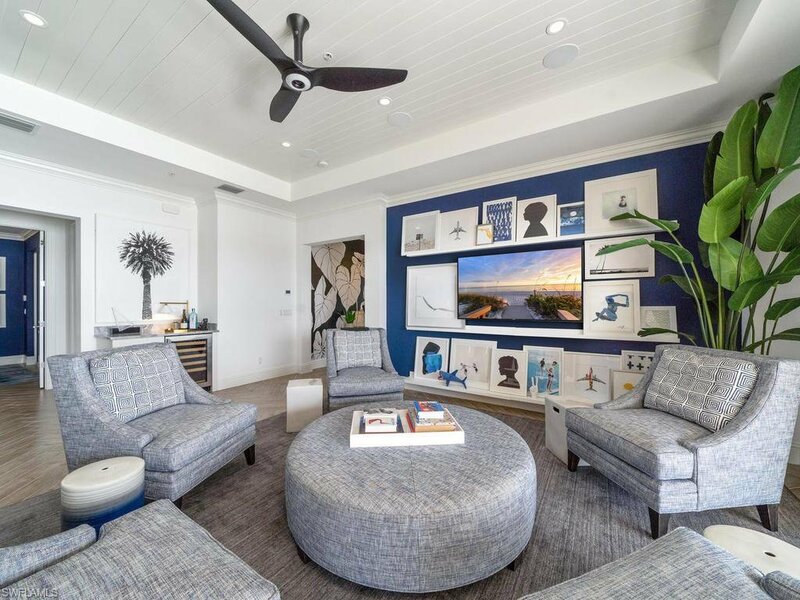 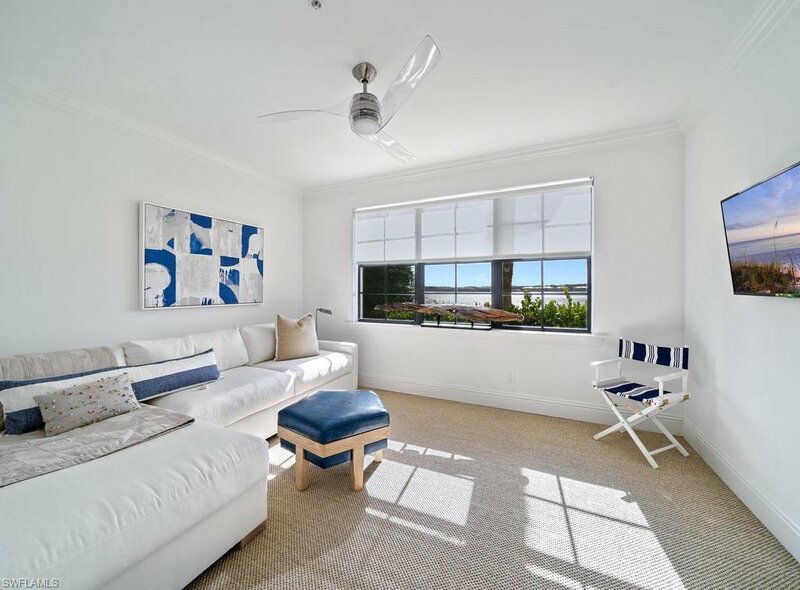 The functional open-plan living space of this airy three-bedroom, three bath home fashions an ideal atmosphere for both indoor and outdoor entertaining. 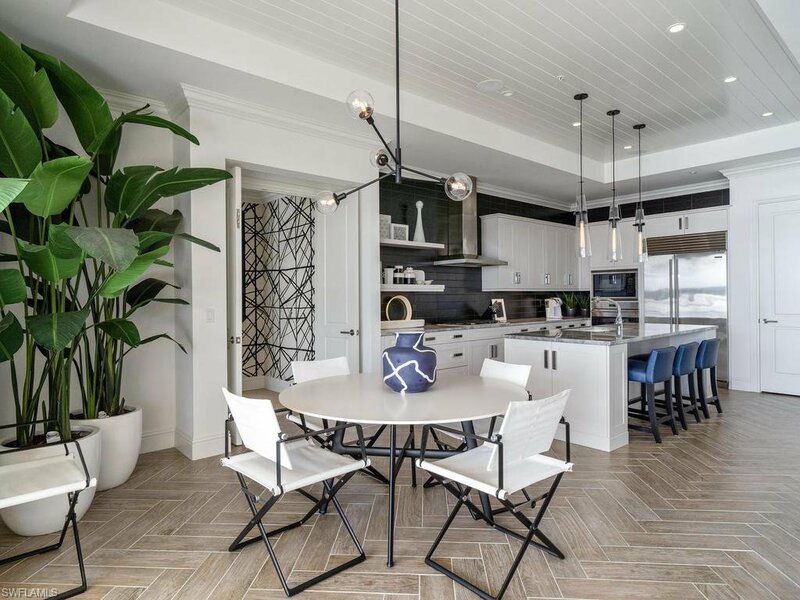 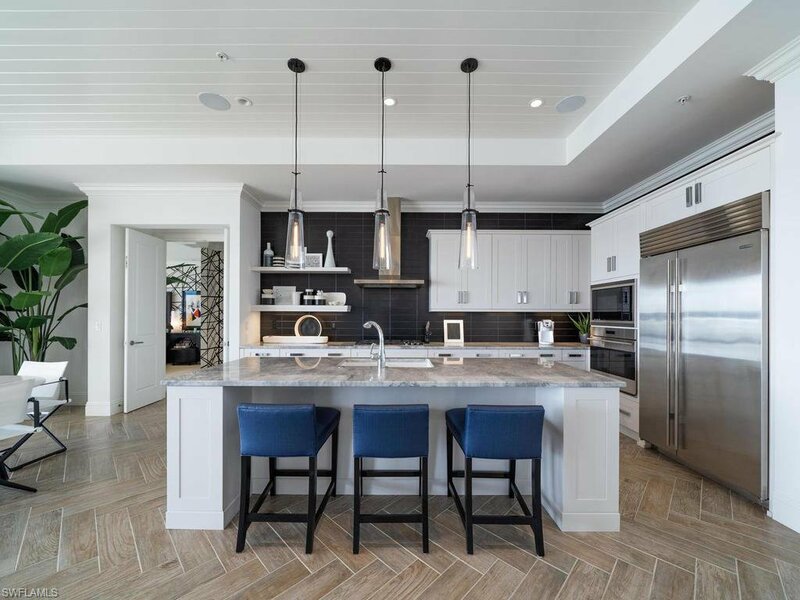 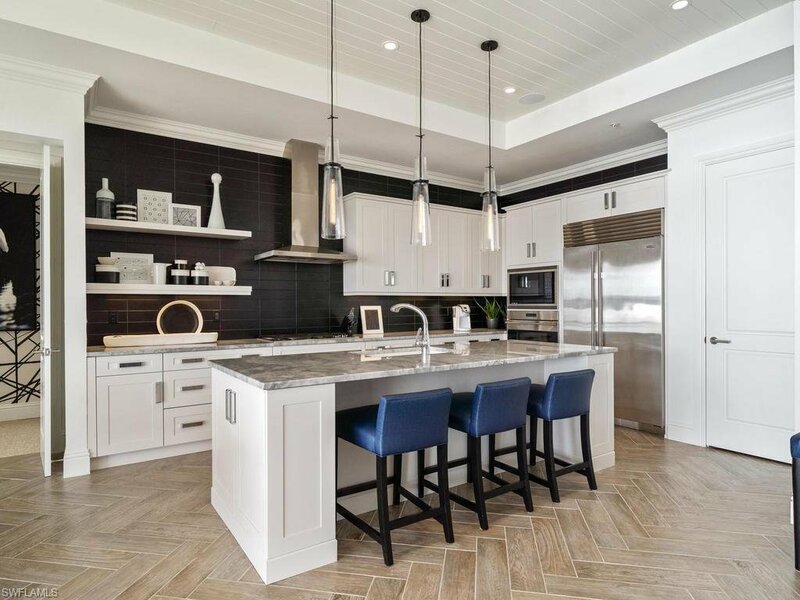 Detailed throughout with stunning contemporary pendant lighting and ceiling fans, attached garage, and extra-large driveway to complete this luxurious functional home. 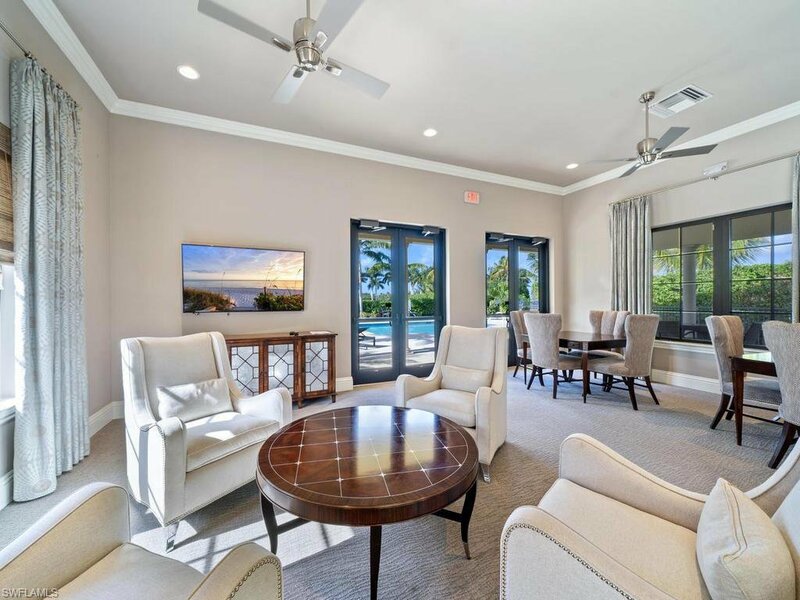 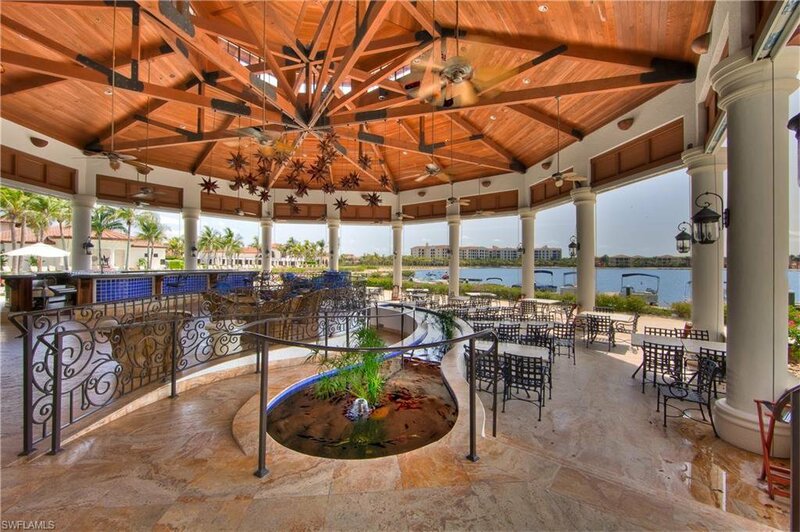 Miromar Lakes is #1 community in the U.S. offering first class amenities and a vibrant lifestyle. 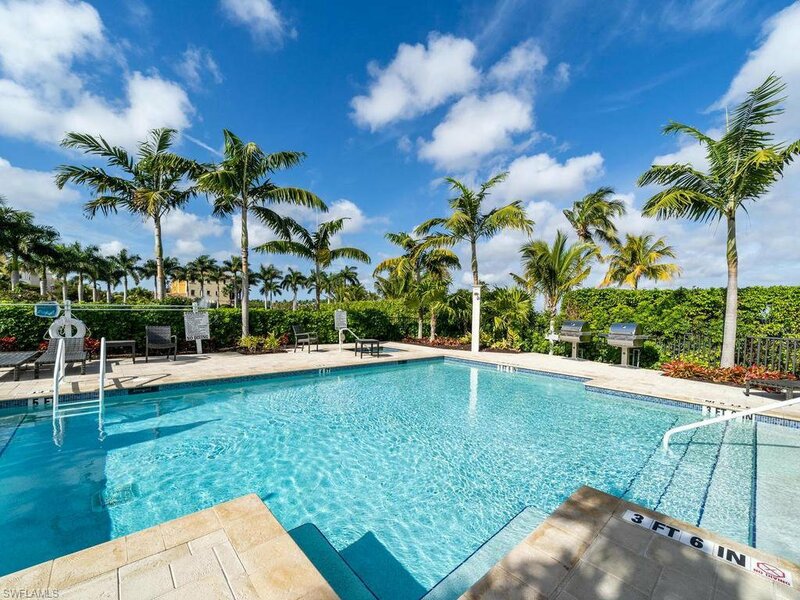 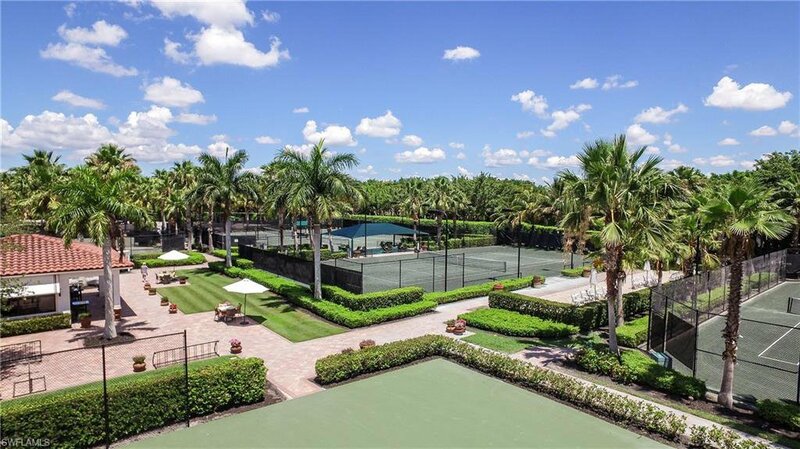 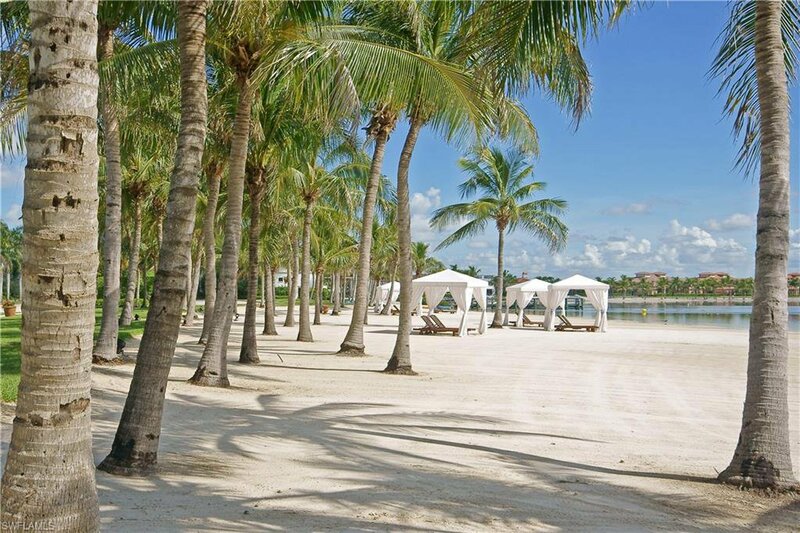 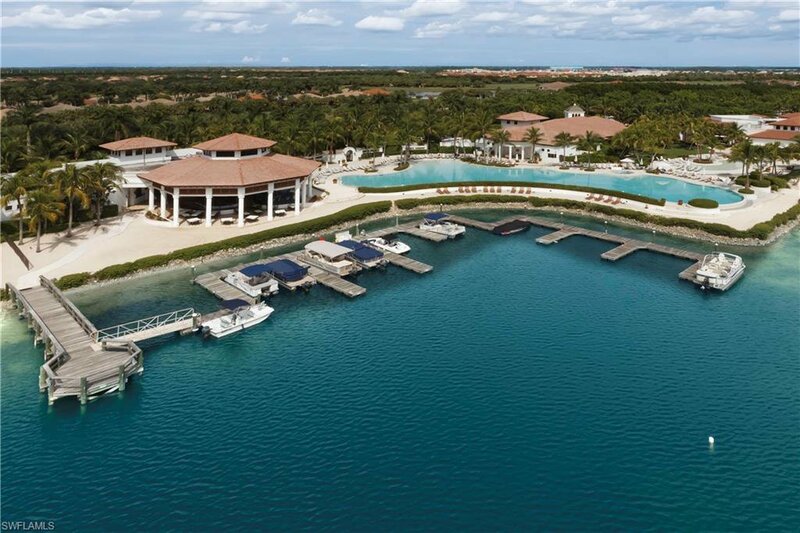 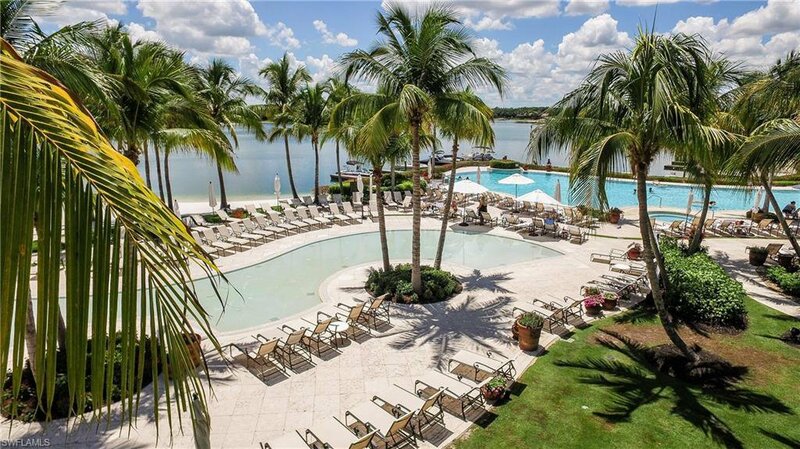 Enjoy the freshwater lake, infinity pool, tennis courts, championship golf course, two gourmet restaurants and a full-service European style wellness spa. . Miromar Lakes Beach and Golf Club is where you want to be!